Swap onions for apples and make caramel onions! 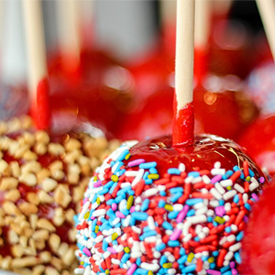 How would you like to come home from school or work to find a few delicious, homemade caramel apples waiting for you? Sounds amazing, right? Then you take your first bite only to realize it’s not really an apple you are eating… it’s an ONION! Yuck! I found this to be quite funny! However, I’d probably appreciate it more if I was the prankster… not the prankee. According to Kidsworld, this is another funny prank. You can superglue coins and place them on the sidewalk superglue side down and sit back and watch people try to pick up the coins. I’m sure you will get a lot of laughs out of this April Fools’ prank! Oddly enough, this prank actually reminds me of something I did in 4th or 5th grade that my mother still reminds me about sometimes. I had been given a gizmo from a friend at school where you could tape a dollar to the end of a clear string and in your hand I was holding a release button. My mom and I were waiting in the office of her dentist and I decided to see if it would work. I placed the dollar on the floor and sat patiently waiting for someone to walk by and see it. Well, the receptionist ended up seeing it on the floor. She came around the corner from her desk and as she bent down to pick up the dollar, I released the button and the dollar flew back up into my hand. She was caught off guard, my mother was mortified and I was dying laughing! Another one of my favorites is to tie a rubber band around the handle of the spray hose for your kitchen sink. Make sure to aim it properly so that when someone comes to turn on the water, they get sprayed by the water coming out of the hose. Love this one, too! There are so many fun tricks to play on this day and these are just a few of my favorites! Enjoy the day and know that it’s all in good fun! 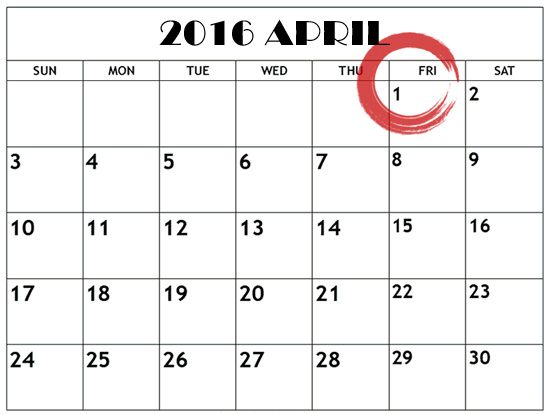 Happy April Fools’ Day from all of us at deBebians!